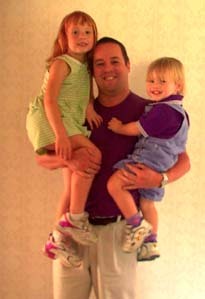 Darrin LANCHBURY with daughter Charlotte and son William. Darrin currently lives in Louisiana, USA but was born in Maesteg, Wales. On 11th April, 2003, Darrin married Kellie DAY in Perth, Western Australia. Click the link to see photos of the day in a separate browser window. Their other son is Lyn James Lanchbury, born in Maesteg in November 1957. Darrin's father, Brian Victor was born in 1935 to Frank James LANCHBURY. Brian died on 7th August 1981. Darrin's Grandfather was Frank James LANCHBURY. 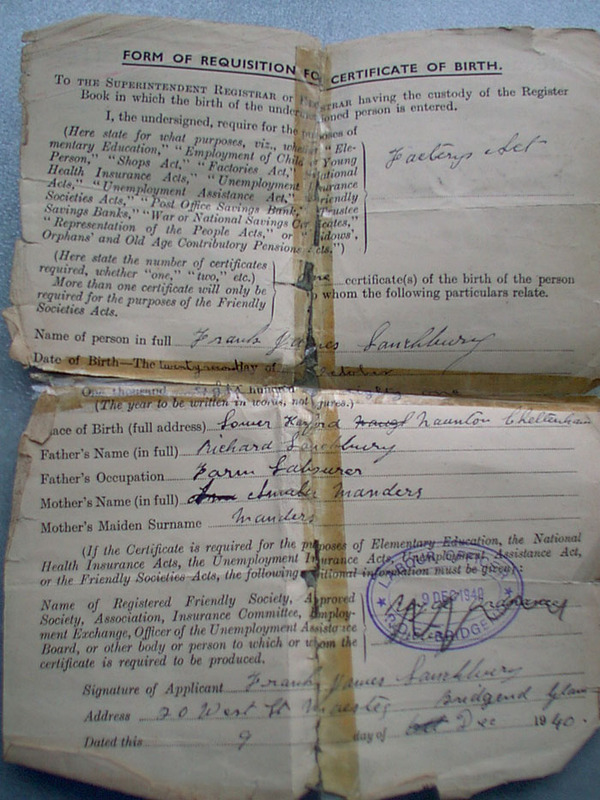 Shown here is Frank's birth certificate requisition, lodged at Maesteg, Bridgend, Glamorganshire. Frank was born 22nd October, 1881, son of Richard LANCHBURY and Amelia nee MANDERS. They also had a son named Earnest. 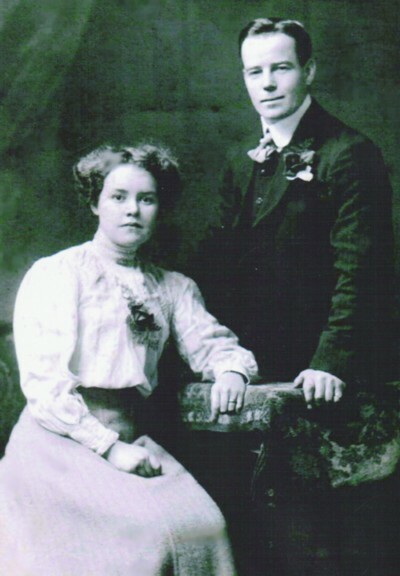 This photograph shows Frank and Bess around the time of their wedding. The 1901 census record shows Darrin's Great Grandparents, Richard and Amelia, both recorded as being 42 years old. Their children (at home) were Walter (17), William (13), Emily (11), Frederick (4) and Agnes (1). Frank was not listed and may have been staying with friends or family. He would have been 9. 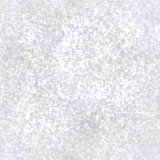 The 1881 census of Naunton, Gloucestershire shows Richard and Amelia, both aged 21 in a cottage at Lower Harford with a son, Earnest aged 1 born in Hawling. Richard is recorded as having been born in Upper Slaughter, Gloucestershire and Amelia in Blockley, Gloucestershire. Below is Brian LANCHBURY's marriage to Pamela RICKETS. Frank LANCHBURY is 3rd from the left. 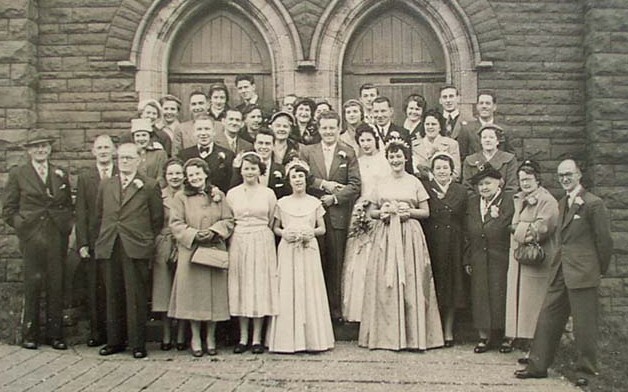 Bess is 3rd from the right, in the front row. For other names see the smaller photo and numbers below.